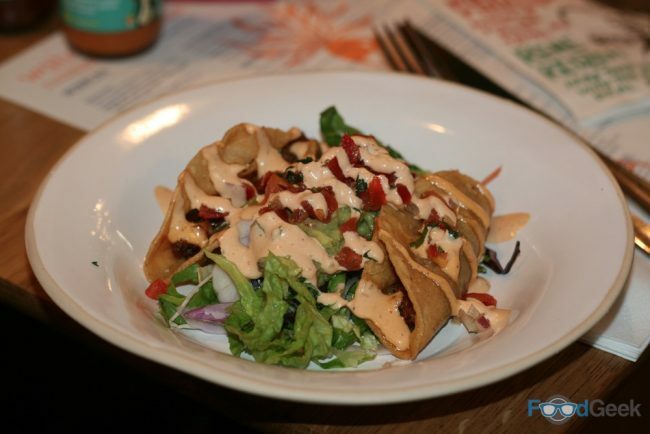 Did you know 2016 is the ‘year of the taco’? I didn’t either but it’s true, well, according to Restaurant Magazine anyway. To be honest I’ve been obsessed with them for years but I’ll take any excuse to eat more tacos. 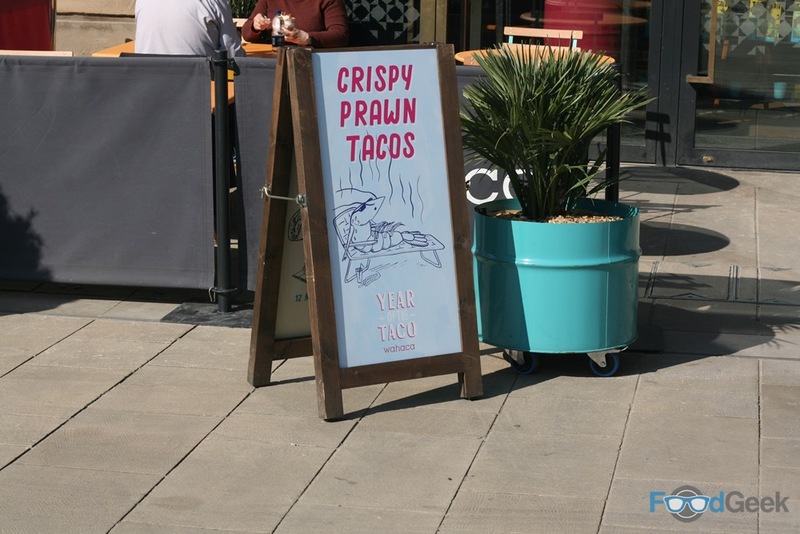 Mexican restaurant Wahaca already have several on their menu but are celebrating the ‘year of the taco’ with a number of seasonal specials. 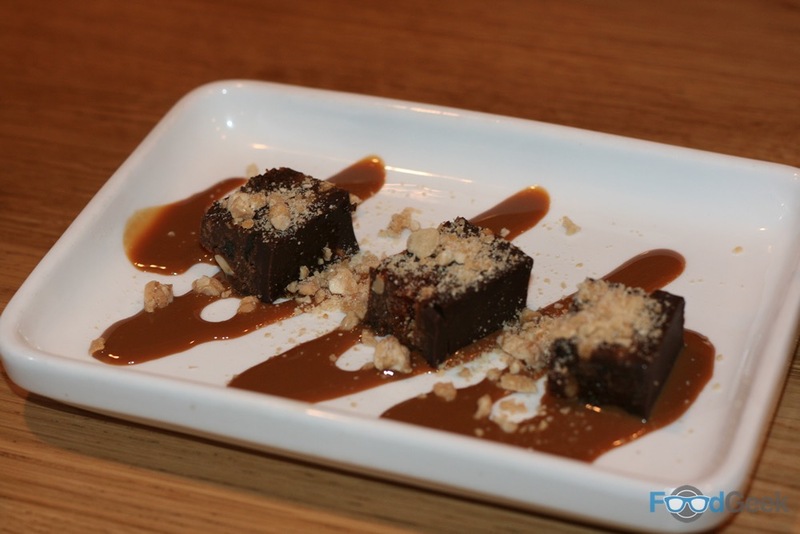 They invited me to the Corn Exchange in Manchester to check out the first from their newly launched Spring menu. 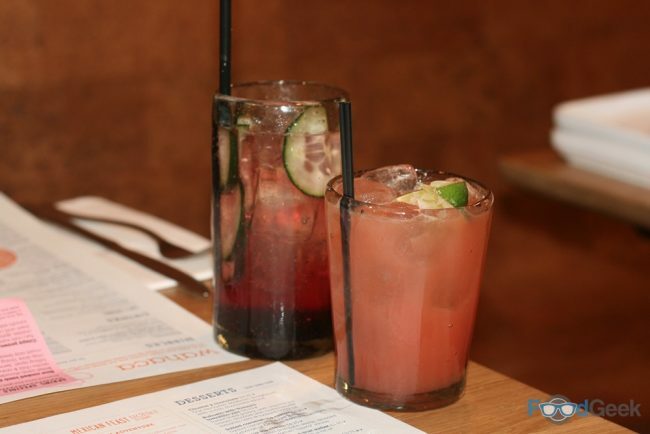 We started with a couple of cocktails; both the Hibiscus G&T and Blood Orange Margarita were excellent. Fruity, boozy and refreshing in perfect measure. 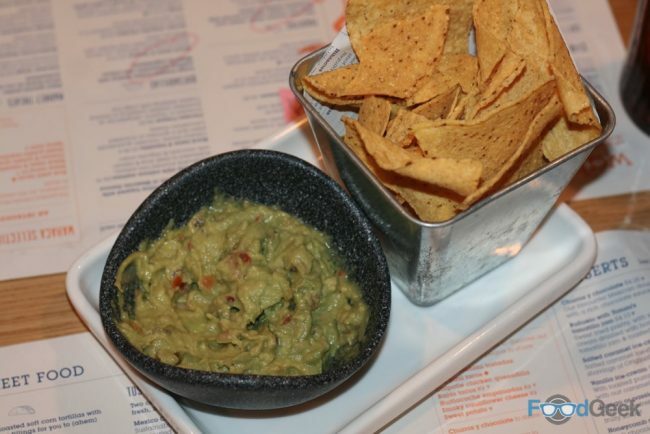 Followed by freshly made guacamole and tortilla chips, the ONLY way to start a Mexican meal. And then the first special arrived. ‘Crispy Prawn Tacos’ consisted of two deep fried corn tortillas, stuffed with prawns chillies, spring onions and coriander. Topped with tomato salsa and chipotle mayo. I loved the vibrant flavours, especially the smoky, chilli kick from the chipotle mayo. But I think I prefer my tacos soft rather than fried and crispy. The second special, ‘Lamb Tacos’, were even better. 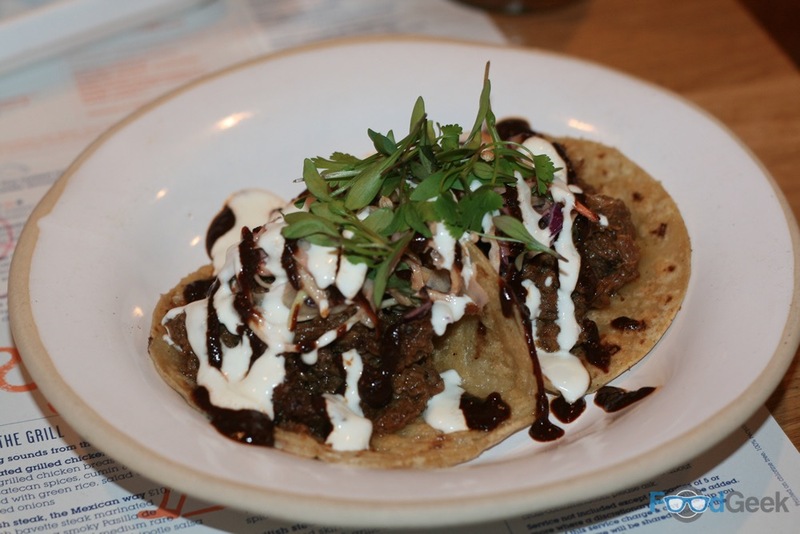 This time, soft corn tortillas were loaded with tender slow cooked lamb shoulder that had been marinated in ancho chilli and orange. Topped with slaw to add loads of crunchy texture. 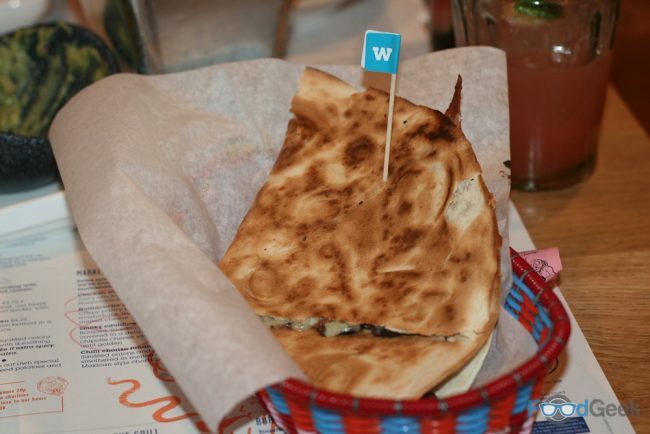 Quesadillas are an absolute must when visiting Wahaca. I went for the simple but delicious ‘Black Bean & Cheese’ variety. As are ‘Frijoles With Chorizo’. 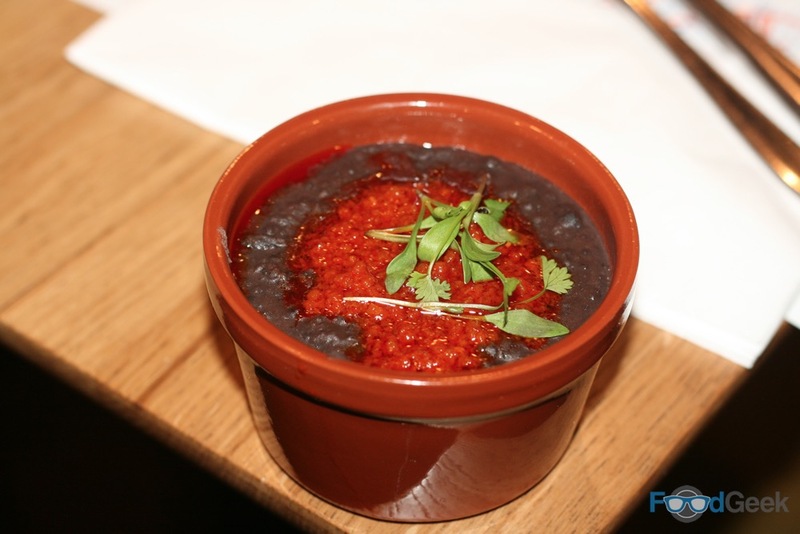 Thick, rich and creamy black beans topped with gorgeous Mexican style chorizo. 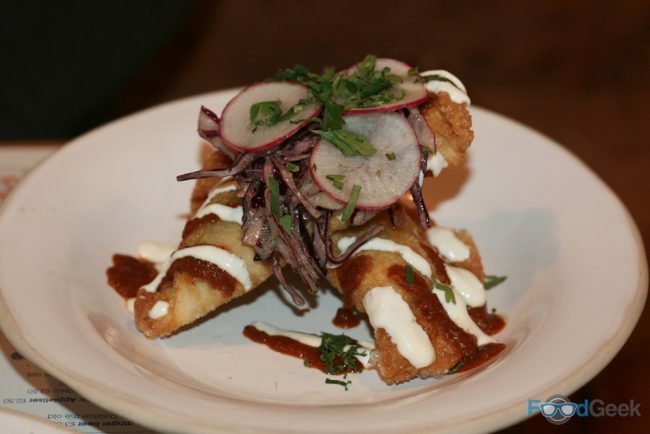 Other dishes included: ‘Huitlacoche Empanadas’, crispy deep fried parcels stuffed with mushrooms, corn and melted cheese. 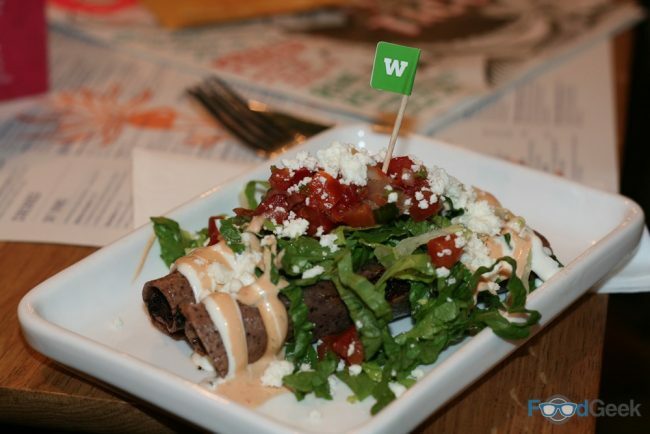 And ‘Sweet Potato & Feta Taquitos’. Crispy blue corn tortillas filled with roasted sweet potato, feta and caramelised red onion. Surprisingly, my favourite dish was ‘Smoky cauliflower Cheese’. A simple side dish of roast cauliflower drenched in a creamy, chipotle cheese sauce and then grilled. This was pure comfort in a bowl for me. Roasting cauliflower is by far the best way of cooking it anyway but combined with smoky, spicy gooey cheese sauce it’s a delight, better still when the top is grilled and crispy. For dessert; ‘Honeycomb Chocolate Bites’, dark chocolate with a hint of chilli, topped with crushed honeycomb and roasted peanuts. 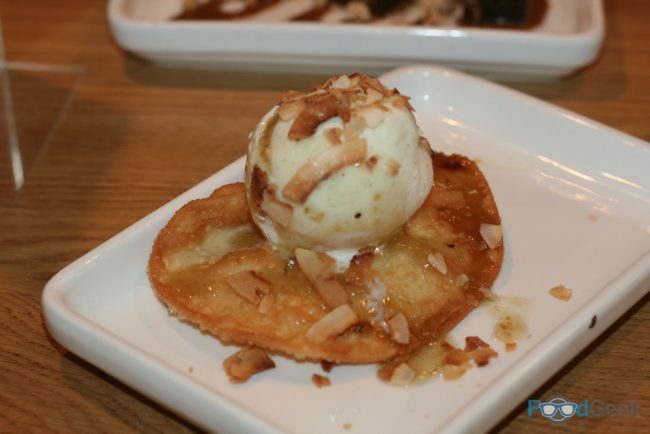 And finally, ‘Buñuelo’, a circle of sweet fried pastry topped with vanilla ice cream, toasted coconut and the star of the dish, a gorgeous tomatillo jam. Another really simple dish but packed with flavour and highly enjoyable. 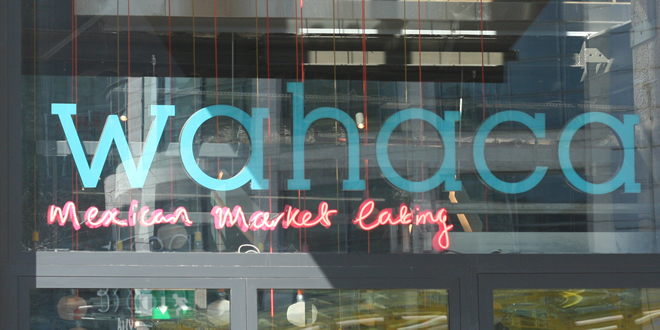 As ever Wahaca was a great experience. 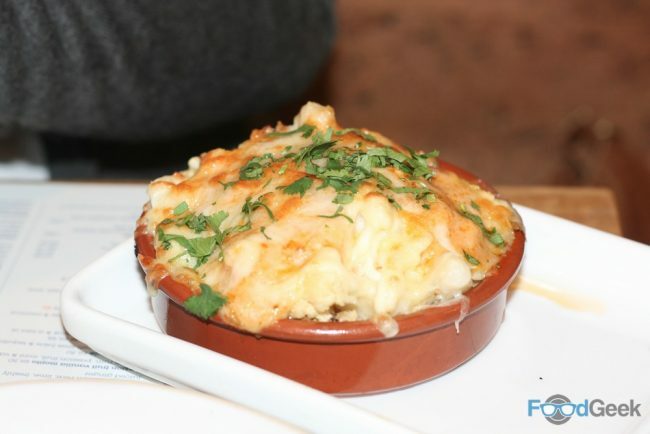 Service was speedy, friendly and efficient while the food was fast, fresh, vibrant and full of flavour. There aren’t many places in the city centre I’d rather go for casual dining. I can’t wait to see what they have in store for the remainder of the ‘year of the taco’. Disclaimer: I was invited to Wahaca to sample the new specials in exchange for my feedback. I have been a happy paying customer many times previously.